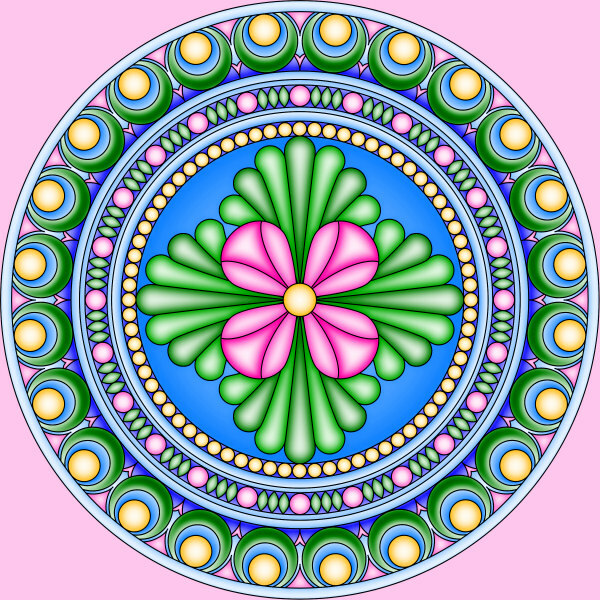 This mandala to color is inspired by decorative architectural elements like rosettes. 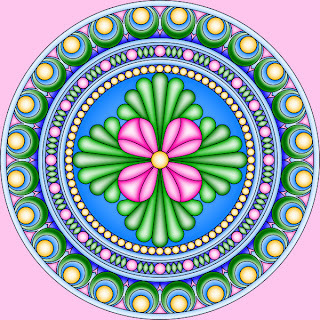 The outer ring pattern is called "Egg and Dart", the first beaded pattern is a "Bead and Reel" and the second is just a beaded pattern, surrounding a rosette. Click on the image for a larger version in transparent PNG format. Thank you, I'm going to print it right now! Reminds me of the medallions that were added to the ceiling. Can't think what they are called! lol! I'm not sure I found this one on your blog originally but it is one of my favorite designs to color! Now that I know it's from you, I added your name to the file I have saved. Thank you so much, Shala! This one is great!